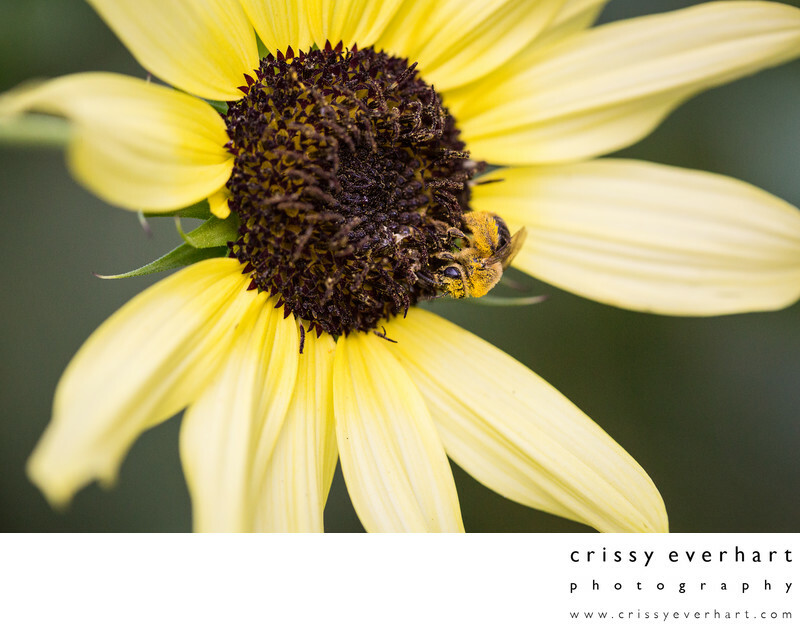 Macro image of pollen covered honeybee on "italian white" sunflower. This photo is from my front yard garden where I love to spend my spare time each summer watching bees pollenate my flowers. !